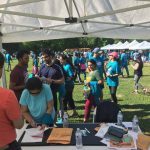 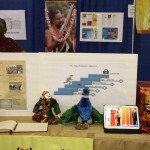 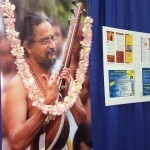 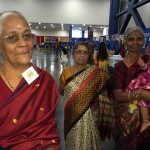 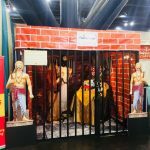 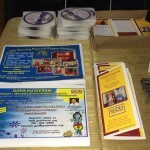 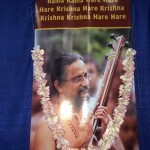 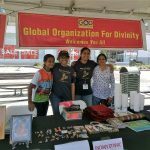 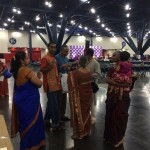 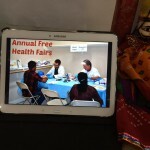 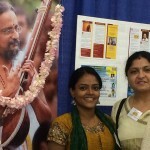 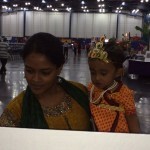 On August 23rd 2014, Namadwaar Houston participated in the Grand Janmashtami celebrations held at George R Brown Convention Center,Houston organized by Hindus of Greater Houston. 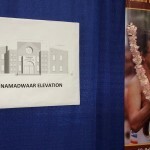 A booth was set up displaying the floor plan and elevation of the upcoming new prayerhouse. 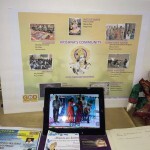 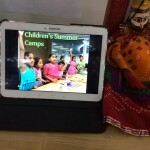 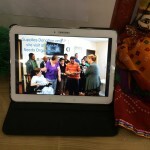 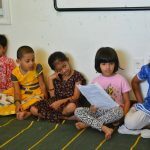 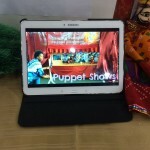 A variety of social and religious activities done at Namadwaar – like Akhanda Nama, Madhura Utsav, Bhagvatha Sapthaham, Gopakuteeram classes, Meditation classes, Bhagavatham Classes, Puppet Shows, Retreats and social activities like free health screenings and drives for the underprivileged were displayed. 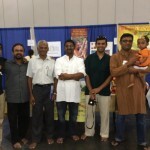 Over 200 visitors collected Mahamantra CD rendered by Sri Swamiji and some among them wrote down prayers, chanted Nama and expressed interest in GOD activites.